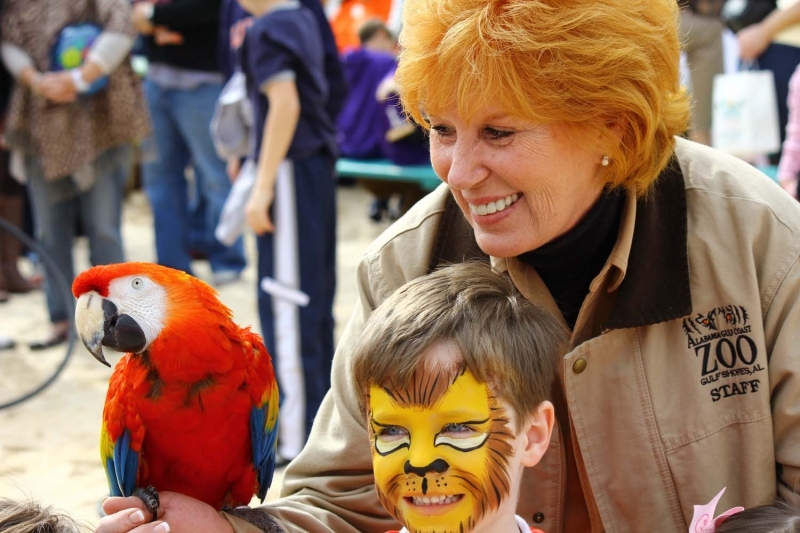 What better way to learn about animals and how we humans can become better stewards of Earth’s wildlife than visiting a zoo? 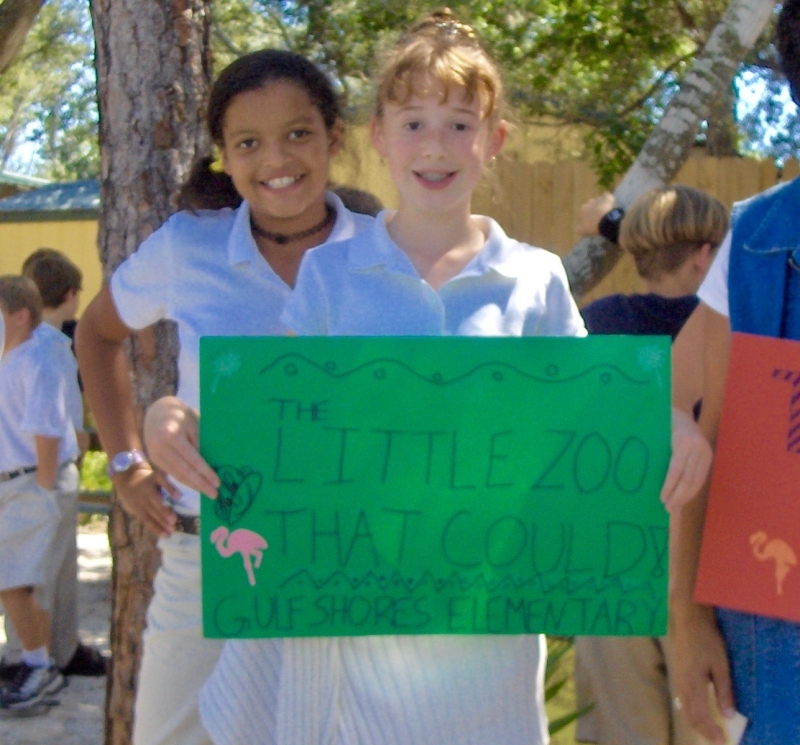 The animals of the Alabama Gulf Coast Zoo are the cornerstone and inspiration for every educational program we offer. Headed by Curator Cyndi Johnson, the zookeeping staff is expected to wear two hats: one, as dedicated caretakers of every inhabitant that lives at our zoo, and two, as educators. 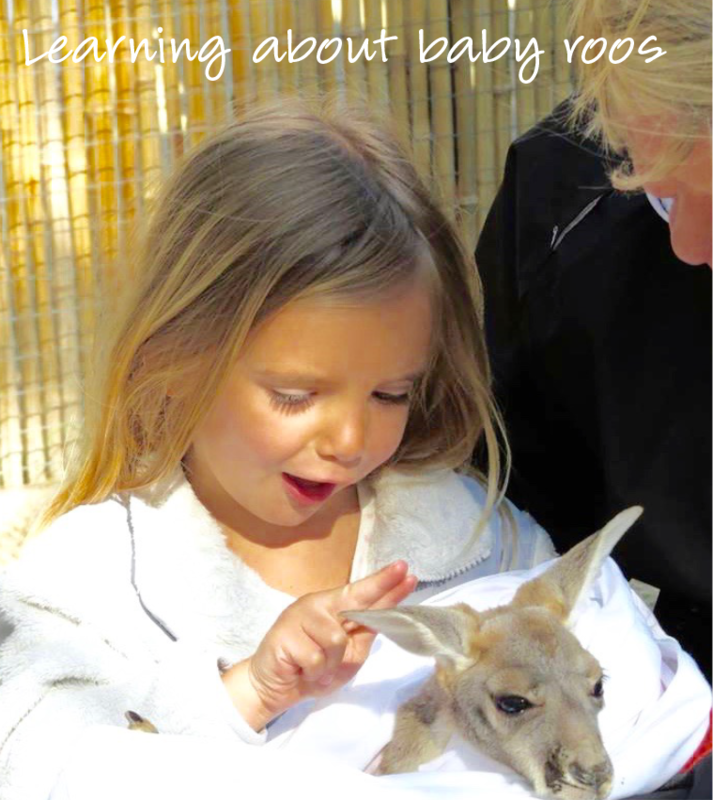 Our mission is to offer zoo guests of all ages educational experiences that are accessible, engaging and meaningful. That means providing current, science-based information about our animals, and most importantly, an awareness about the real threat of mass extinction our planet’s wildlife faces over the next decades. We want to teach all who are interested how conservation can help prevent this from happening. 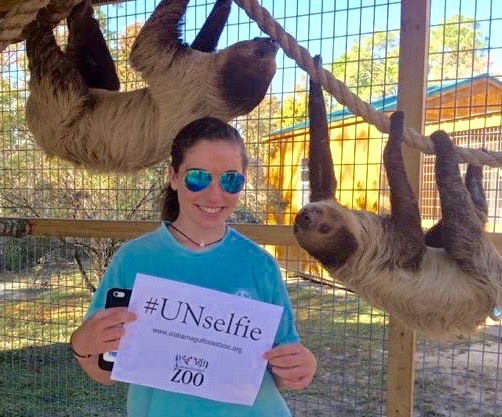 We have 24 Endangered Species at the Alabama Gulf Coast Zoo and they are a vital part of this education. With over 600 animals everywhere you turn, there couldn’t be better learning opportunities: for families, school groups, community or organization events, for anyone interested in the wonderful creatures we share this planet with. And of course, anything educational has to be totally fun and awesome! 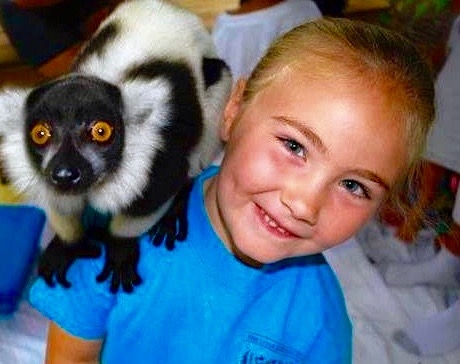 How about one whole week of non-stop fun and hands-on educational activities while learning about wildlife conservation and animal life here at the Alabama Gulf Coast Zoo? 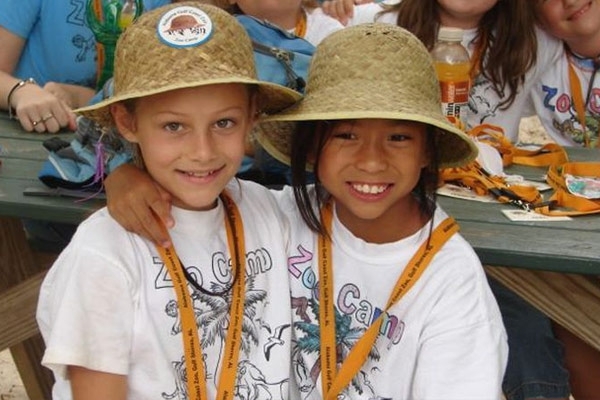 For kids, ages 5-11, it’s our annual Zoo Camp! Held the last week in June, Monday-Friday (9:00 am-3:00 PM), registration starts in May and we fill up fast! 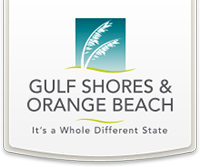 Our local communities play a very important role in life at the Alabama Gulf Coast Zoo. 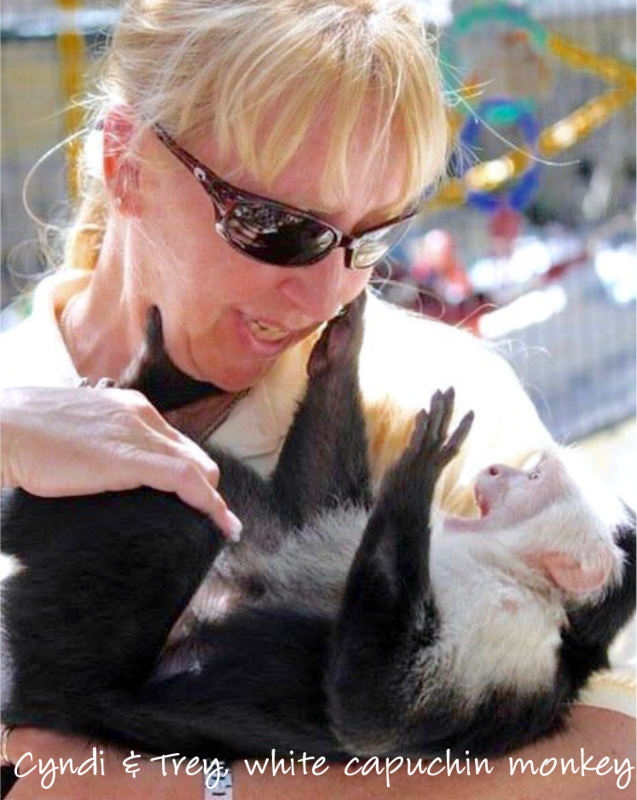 Our Community Outreach Program is a way for us to bring our Ambassador Animals to a variety of happenings beyond the zoo’s gates, everything from municipal activities and holiday celebrations to charity fundraisers and civic organization events. What better way to spread awareness about wildlife conservation! 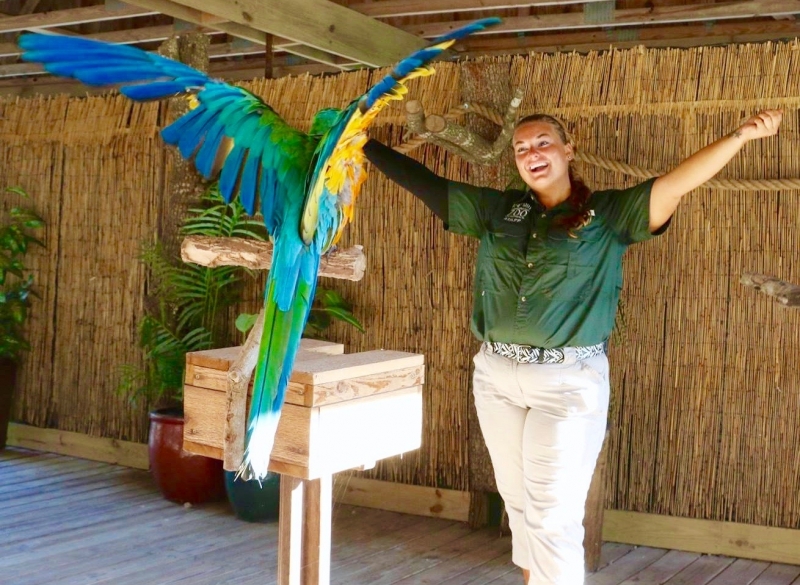 Interacting with some of the Alabama Gulf Coast Zoo’s most gentle and friendliest creatures in our Animal Encounters program is an educational experience beyond compare. Under the guidance of our keepers, we’re able to engage each participant and teach them about the animal species they are petting, holding or feeding, its natural habitat and status in the wild, its life at the zoo, and so much more. Ask a zookeeper what they like best about their job - other than caring for animals - and their answer is always teaching kids (grown-ups too) about animals. Through our many Keeper Talks & Stage Shows, education + entertainment = laughs and lots of oohs and aahas about animals that may inspire another generation of zookeepers!